The #MeToo movement has been both a blessing and a curse at the same time. On the one hand there is now a climate in which people who claim to have been sexually assaulted by people in power are being heard. On the other hand that same climate gives people the power people to destroy someone’s career with a mere accusation. No due process seems to be necessary anymore. But claims of sexual assault are very hard to prove. These things tend to happen behind closed doors and victims often only dare to speak up after years. Without any physical evidence to back a story up, it almost always turns into a he said, she said scenario. Whether we choose to believe the accusers lies in whether how convincing their testimony is. But even then there is always the element of an inconvenient truth. Take the case of Christine Blasey Ford for example. She gave a compelling and convincing testimony about a violent sexual incident with then Supreme Court Justice nominee Brett Kavanaugh. This created a dilemma for the people who wanted him to serve on the Supreme Court. If they would acknowledge that they believed her story, that would mean that they could not support his nomination. Therefor they choose not to believe her and even try to poke holes in her story to justify their disbelief. Suddenly her not knowing the exact location of the house the assault took place almost 40 years ago became “proof” that she was lying. Despite the #MeToo movement accusers still receive a lot of backlash when they come forward. Especially when it comes to people who have a massive following. Much like the Republicans and Christine Blasey Ford, fans don’t want to hear that the person they idolize is not as perfect as they thought he/she was. And like the Republicans, these fans will do anything to convince themselves and others that their accused idol is a victim of money hungry people who try to smear his/her name without a shred of evidence. This brings me to Michael Jackson. 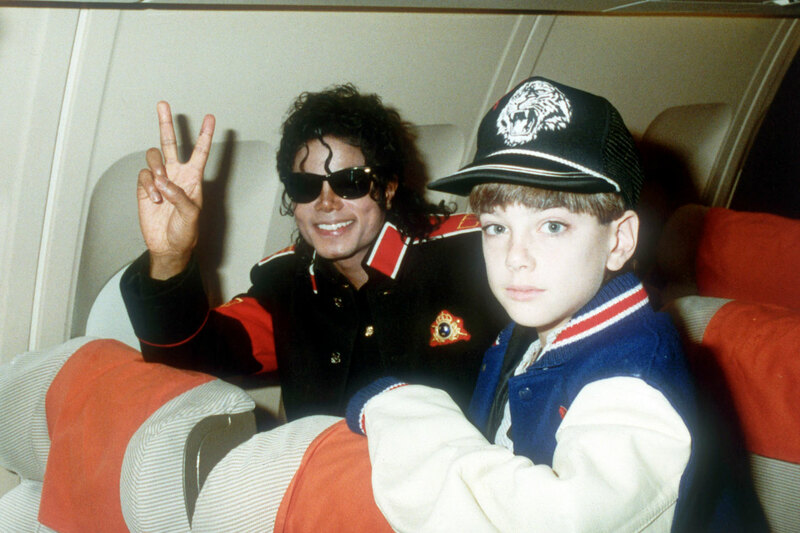 He is the subject of Leaving Neverland. 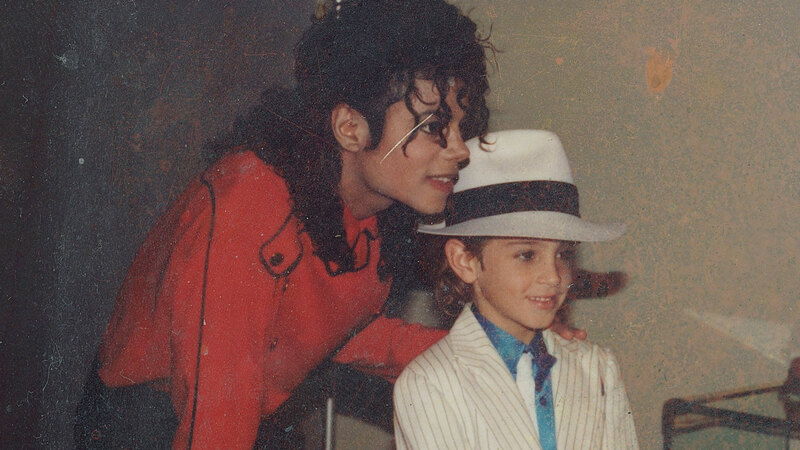 A four hour documentary about two of Michael Jackson’s alleged victims: Wade Robson and James Safechuck. Two men who claim they and their families were groomed by Jackson in the late 80s/early 90s. According to them once Jackson gained their trust he would start sexually abusing them. Gaining their trust was rather easy for Jackson. These boys already idolized him and being the biggest star in the world at the time it was not difficult for him to convince the parents, especially the mothers, that he could be trusted with their kids. How can a guy that flies your whole family from Australia to his ranch in the US be a bad guy right? I am the about the same age as these two men and in 1987-89 I was just as big a Michael fan as the average kid. I loved the music videos, imitated the dance moves and begged my parents to see his Moonwalker movie at the cinema. It was a phase, one that I have fond memories of, but still a phase. By 1991 I was into different music. I never paid much attention to the allegations of child molestation back then. Since it was settled out of court it was never more than a rumor. When new allegations and a trial came along in 2005 I did not give it much attention. Like most people I just laughed it all away. 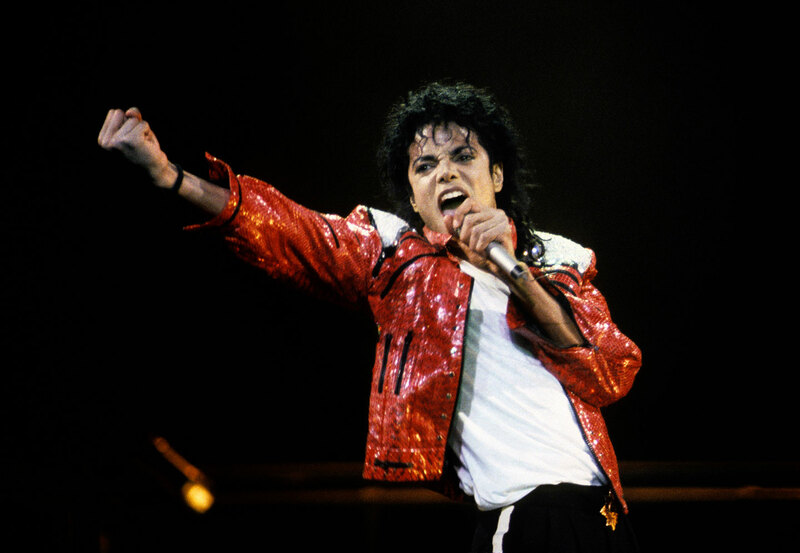 It was one of the many bizarre things you heard about a man dubbed “Wacko Jacko”. He has a pet chimpanzee, he sleeps in an oxygen tent, he has an Elizabeth Taylor shrine, he molests children. Like most people I was like “whatever”. Hearing Wade and James’ stories it hardly surprised me. We all knew since the early 90s that there was at least something going on. Michael Jackson touching children has been a recurring joke in the media for 25 years now. The only difference now is that the things we hear are not brought as a joke any more. They are also not brought to us at a time that Michael Jackson himself is able to steal the spotlight away from the victims by showing up in a pajama at the trial. This time victims are allowed to tell their side of the story. And they did in graphic detail. I believe their stories. But a lot of people do not, or just don’t want to. I have heard people say that they’re not even going to watch the documentary because these allegations can’t be true. They simply refuse to even hear their story. Often accompanied by some remark about how they read some stuff on the internet about these two guys and how they are just saying these things to receive a big payday. As frustrating as this is, it is also interesting. The need that these people have to believe that a certain person is not guilty of something awful like child abuse. A person people don’t even know personally, but only know from the things we see and hear in the media. As if the acknowledgment that Michael Jackson has molested children tarnishes the warm personal memories someone might have. I had them. I still have them. A lot of Leaving Neverland deals with how Jackson groomed the victims and their families. If you are unfamiliar with that term Wikipedia describes this as follows: “Child grooming is befriending and establishing an emotional connection with a child, and sometimes the family, to lower the child’s inhibitions with the objective of sexual abuse”. But Michael Jackson, with the aid of his super stardom, not only groomed these boys and their families. He groomed us as well. He made us all believe that he was this shy, innocent guy who never had a childhood and is now an 8 year old kid trapped in a 30 year old man’s body. To a certain degree this was probably true. He grew up in front of the cameras under the strict upbringing of an abusive father. Which is just the more reason to assume that these accusers are telling the truth. Abused people often become abusers themselves. Michael carefully crafted this persona and he used every tool to his dispensary. His music videos, concerts and even his Moonwalk book. But also tabloid news which were happy to spread all the strange rumors about him that made him seem eccentric, but in an innocent way. Michael also did a great deal of charitable work when it came to children. This further cemented the image of him being a friend to children all over the world. After watching Leaving Neverland I decided to go and watch Jackson’s movie Moonwalker again. The movie I so desperately wanted to see as a kid. Moonwalker turns out be a clear example of how Jackson groomed us. The first fifteen minutes establishes, or rather remind us that Michael Jackson is the world’s biggest music artist. We are treated to the songs Man in the Mirror and Dirty Diana accompanied by concert footage and a quick overview of Michael’s career up until now. Clips from Michael as part of the Jackson 5 as well as footage from the Thriller years when he would introduce the moonwalk. Young boys pretending to be adults in Badder. A music video parodying the Bad video. Crotch grabs included! The first notable moment comes at around 17 minutes into the movie. This is a segment called Badder and features a group of kids of around 9-10 years old recreating the Bad music video. The kids are dressed up as the original adult performers and perform the same dance moves. This includes the crotch grabbing move Michael started doing around that time. Michael himself isn’t in this segment aside for a wanted poster with a mugshot of him on the wall. Brandon Adams, the kid who plays Michael Jackson turns into the real Michael Jackson when the scene goes to the next segment called Speed Demon. This does cement Jackson’t message about how he’s just an 8 year old boy inside. The Speed Demon segment is all about how Jackson can’t move freely because he’s always being chased by fans. These include clay-animated kids. 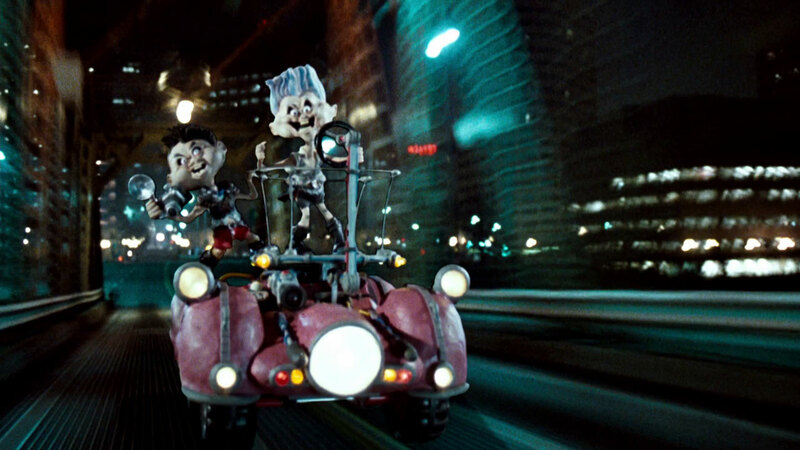 In the Speed Demon music video Michael, in the form of a claymation Rabbit is chased by everyone including freaky looking kids. More interesting is the video of Leave Me Alone which comes next. This music video features a lot of the aforementioned rumors and gossip revolving around Jackson. The message in this segment is that you should not believe what the tabloids write about Jackson. But it has been reported that Jackson put a lot of the news that made him look eccentric out himself. This is not that far fetched. One way to keep yourself relevant is by maintaining a constant presence in the media. It makes sense that Jackson would spread false rumors, so that the real rumors can easily be dismissed as tabloid fodder. Just some of the gossip that went around about Michael in this still from the Leave Me Alone music video. Most of it put out by himself it turned out. At around 40 minutes it’s now time for the center piece of the movie and the moment the grooming is most evident. It’s a 40 minute segment called “Come Together” revolving around the Smooth Criminal music video and the only part of the movie to actually have a storyline. In this segment Michael is friends with a couple of kids. They are seen playing ball on a grass field between the flowers. I assume this is at his Neverland Ranch, but no such mention is ever made. A dog takes their ball with Michael and a young girl named Katie are trying to retrieve it. They end up at a cave with “keep out” signs around it. The cave is filled with cobwebs but Michael and Katie decide to look for the dog their anyway. The end up in the lair of a Mr. Big who has a nefarious plan of getting kids addicted to heroin. They are spotted but manage to escape. 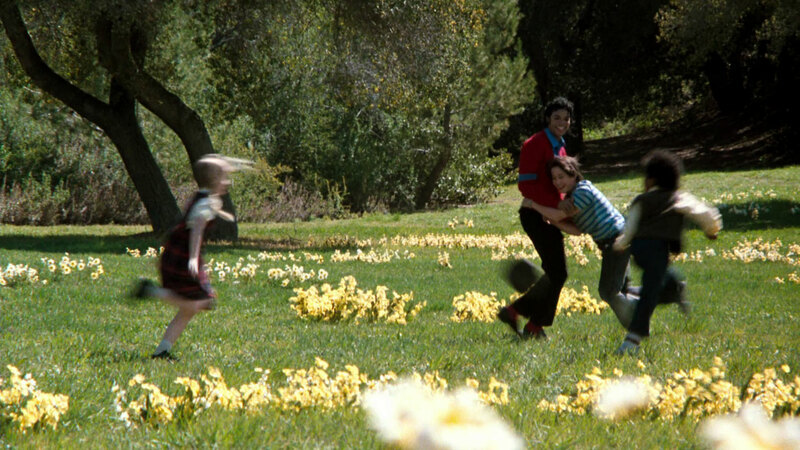 Michael just frolicking around with a group of young kids. At night the henchmen of Mr. Big try to kill Michael, who is now dressed in a black suit. 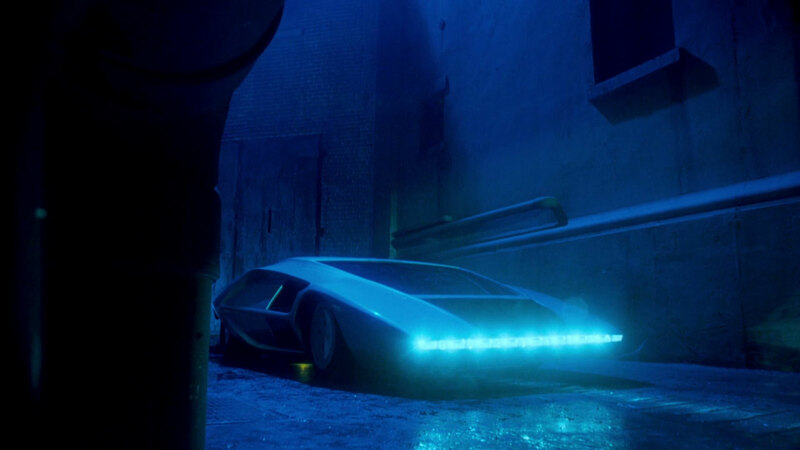 They fail and Michael escapes by transforming into a sports car. The three kids are also there, witnessing everything from the rooftops. They go to a bar named Club 30s which is deserted when they go in. After they leave the place they see Michael enter it and the place suddenly comes to life. This leads to the classic Smooth Criminal video in which Michael is once again the same tough guy dancer he was in Beat It and Bad. The kids watch though the window in awe as Michael is doing his shtick. Michael Jackson in the form of a car. Luckily nobody ever got in because that would have made things really weird. Katie gets kidnapped by Mr. Big and Michael sets out to rescue her. Michael saves the day by turning into a robot and stopping Mr. Big’s plans. He then turns into a space ship and flies away. The kids are sad for a while until he suddenly returns in human form. They all hug, mention how they missed Michael and he how he missed them. They go back to the front door of Club 30s which now leads to the backstage section of a Michael Jackson concert. And that’s it. In this segment Michael is portrayed as a friend and protector of children. The opening shots of Michael and the kids playing ball is very reminiscent of amateur videos of Michael and a group of kids including Macauley Culkin playing at Neverland Ranch. This is something what every young Michael Jackson fan wants. To play with the world’s biggest star on his ranch. Michael is sweet and great with kids and everybody is happy. Because fiction and reality are so intertwined this scene is the most obvious example of Michael grooming the audience into believing he will never hurt a child. Who will say no when Michael asks you to come and play on his ranch. Aside from a car he also becomes a robot at one point. 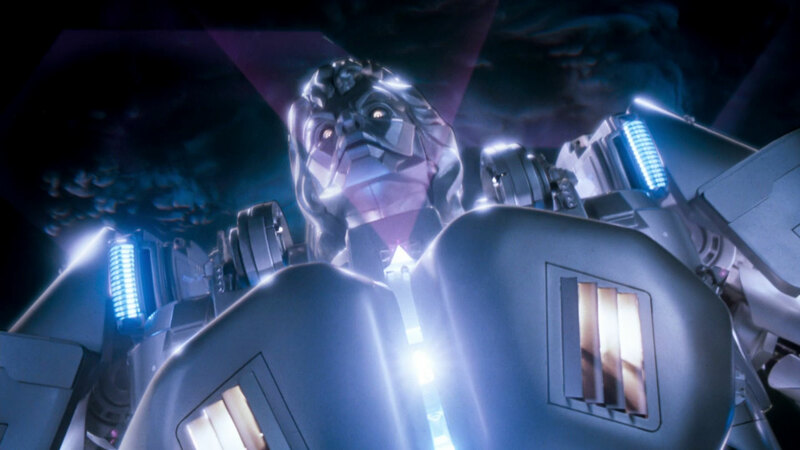 Before there was a live action Transformers movie, there was Moonwalker. This whole segment is a bit notorious of how self-indulgent Michael is since he wrote the story himself. The story seems to be targeted at little boys. 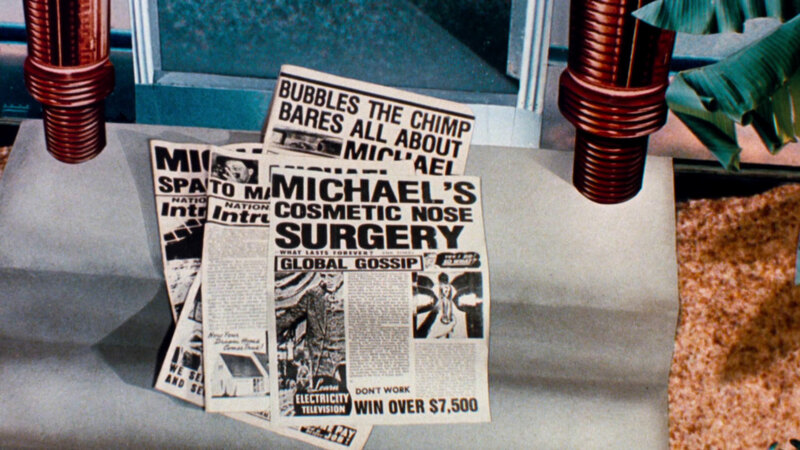 Michael transforms into a sports car, a robot and a space ship. All things that young boys love. Especially in the 80s which was the decade of Transformers, Star Wars and Knight Rider. Michael is in this movie an amazing tough guy with magical transformation powers. A role model to young kids. And yes, I know this is pure fantasy, but that doesn’t change the fact that Michael positions himself as something that young boys love and look up to. 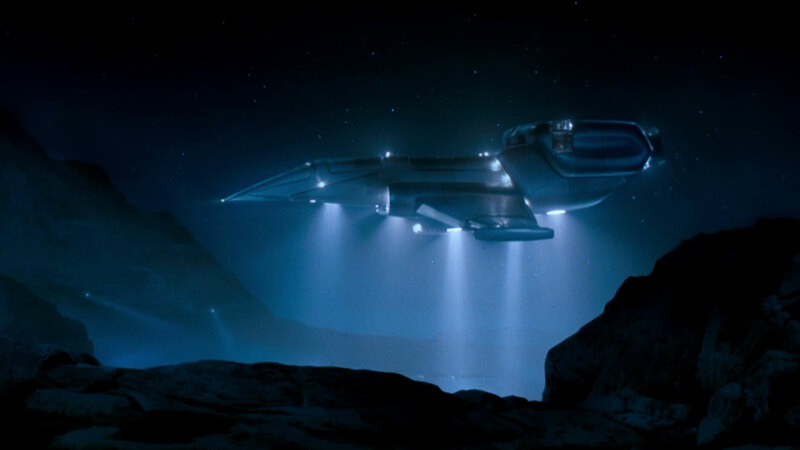 The robot has the possibility to turn into a sleek space ship. The people Michael saved could have just as well been a couple of teens, or even a family. It would have made even more sense since heroin is rarely directly related to kids in real life. How many 8-year-olds do you know that shoot up? But Michael chose to have him be best friends with a couple of kids. This is the persona Michael wants to bring across with Moonwalker. Michael isn’t a regular guy, he’s someone who is friends with kids. Oh and he’s a super hero with transformation powers. This whole segment conveys the idea that Michael is a guardian angel to children all while teasing how much fun it is for young kids to visit Neverland Ranch. While a work of fiction, it pushes a certain image of Michael in the collective mind. I’ll be the first to admit that this is a bit of reading into something. It’s a lot like looking at the gay subtext of a horror movie like A Nightmare On Elm Street 2. 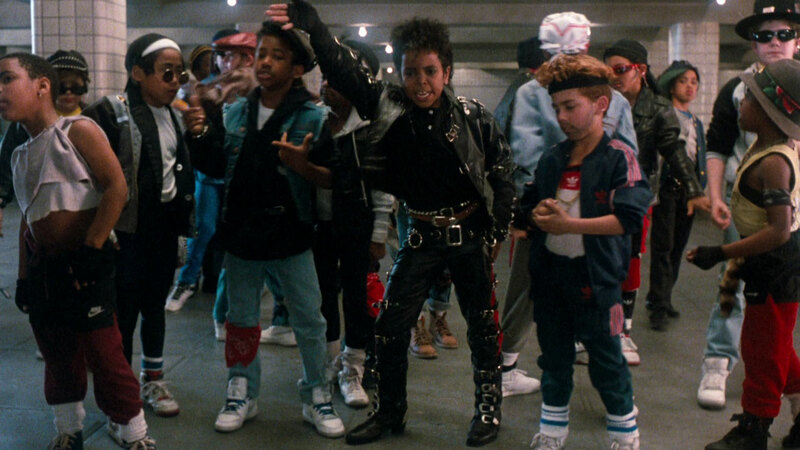 But it’s hard to deny that Michael’s obsession with kids is evident in Moonwalker. They way he portrays himself in Moonwalker is just another part of how he made the world believe that he would never harm a child. Quite the contrary. To be honest, with all of his charitable work he helped a lot of kids. Sadly he also hurt a couple. But we too were groomed and did not see the red flags. When we did see them we looked away and often covered it up with a joke. I get it. I truly do. It’s hard to accept the fact that the person you idolize could be capable of such a monstrous act. But like everybody else Michael Jackson was a person and every person has its flaws. The fact that he did so much charitable work and that a lot of people think the world of him does not change that fact that he could have done nefarious things behind closed doors. In most sexual abuse cases the abuser is often close or even related to the victim. Families suddenly have to accept that good old uncle Jim isn’t such a good uncle after all. Carole-Ann Boone said yes to Ted Bundy’s marriage proposal while he was on trial for multiple murders and John Wayne Gacy performed at children’s parties the same time corpses were piling up under his house. I’m not saying Michael is a murderer, but I’m illustrating the fact that someone is not always who he seems. Often the people closest to them never had any idea. And that certainly is a possibility for someone who lives alone on an enormous ranch, has a background of abuse and is alone with young boys for long periods of time.